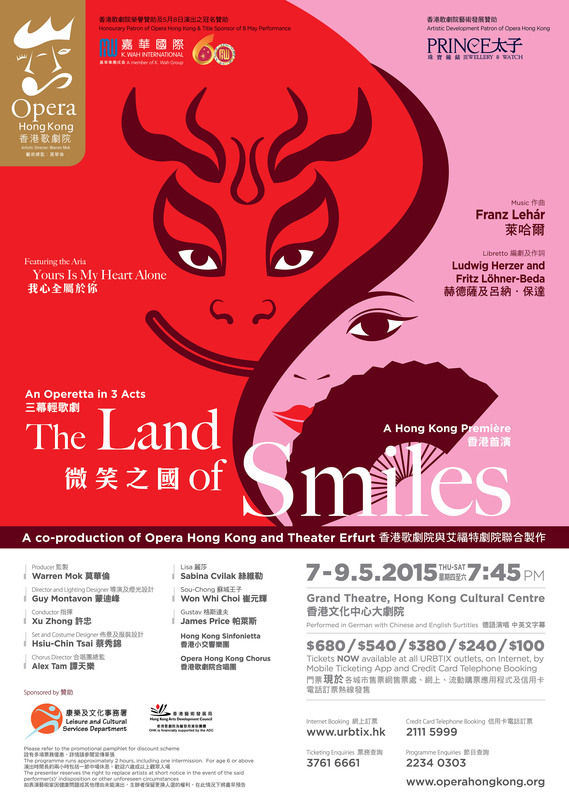 Opera Hong Kong are staging Franz Lehár’s operetta The Land of Smiles this coming weekend. I am appearing as Count Lichtenfels – non singing (thankfully! ), however there are some beautiful arias performed by Sabina Cvilak, Won Whi-choi and James Price.